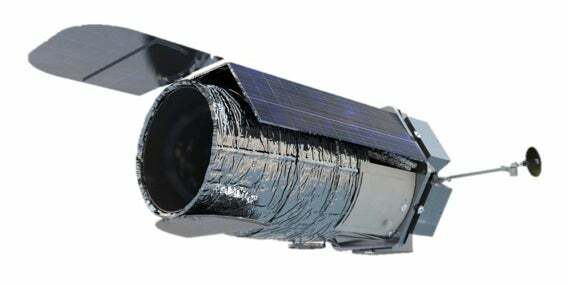 NASA has announced the selection of Science Investigation Teams for its Wide Field Infrared Survey Telescope (WFIRST). ASU will be the lead institution for one of these teams, which includes School of Earth and Space Exploration scientists James Rhoads, Sangeeta Malhotra, Rogier Windhorst, Rolf Jansen and Vithal Tilvi, along with scientists from the University of Texas, Texas A&M, University of Arizona, Stockholm University and Uppsala University in Sweden. WFIRST will be a NASA observatory designed to settle essential questions in the areas of dark energy, exoplanets and infrared astrophysics. The telescope has a primary mirror 2.4 meters in diameter (7.9 feet) — the same size as the Hubble Space Telescope's primary mirror. WFIRST will have two instruments, the Wide Field Instrument and the Coronagraph Instrument. The Wide Field Instrument will have a field of view 100 times greater than the Hubble wide field instrument, capturing more of the sky with less observing time. As the primary instrument, the Wide Field Instrument will measure light from 380 million galaxies over the course of the mission lifetime. The Coronagraph Instrument will capture light from around 2,600 exoplanets over the course of the mission. WFIRST is designed for a six-year mission and will launch on an Evolved Expendable Launch Vehicle out of Cape Canaveral in 2024.